Here at Master Craftsmen, Inc., we work hard to offer the best products to our customers and give you a range of brands and features for your home. We are a professional Milgard Dealer, and we take pride in the many benefits that are available from these products. With many years of experience in the industry, we have seen that Milgard is one of the best brands. When you visit our showroom, you will have the opportunity to see the different Milgard windows that are available. Since we are a Milgard dealer, we have a strong buying power and reduced costs, allowing us to offer competitive prices for our customers. 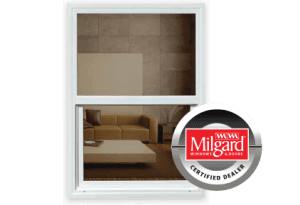 If you are ready to replace the windows in your home, why should you choose the Milgard brand? Milgard is one of the most trusted names in the industry, with dedicated customer care centers and over a dozen full-service facilities that serve the Western U.S. and Canada. Combine this unblemished reputation with our local, personalized service, and you will have a great experience when you make the investment to replace your windows. Our professional team at Master Craftsmen, Inc. believes that we can provide an optimal service to our customers. By offering top-notch products and personalized customer care, we can ensure that you will be satisfied with your home renovations. Not only do we offer faster delivery and installation times, but we are also responsive to any warranty questions after the installation is complete. Our connections in the industry give you the opportunity to hand-pick the details for your new windows, making it easy to create the home that you desire. We will offer the support that you need to design the windows that will look best in your home. By simplifying the process, you can have a stress-free experience knowing that your new windows are covered under a Full Life Lifetime Warranty. We can help with window replacements and new home construction. As you browse through the products that are available through the Milgard line, you will see that there are many styles and features to create the perfect design for your home. You can choose these windows in vinyl, wood, aluminum, or fiberglass. Visit our Las Vegas window showroom to see the products, and you will find that these windows come in a variety of styles. You can choose the same window design throughout the home, or mix it up to match your preferences. For example, you might choose a combination of both casement windows and a larger picture window. Whether you are installing windows in a new home or you are looking for options to upgrade your current home, we are here to help! Contact our team to learn more about the different styles that are offered.